By now you will know that The CW this coming January premieres ‘Legends of Tomorrow’, un spin-off quite striking ‘The Flash’ and ‘Arrow’ whose cast is led almost exclusively by secondary characters from both series. The only possible reason for complaint about the paper is how they have chosen the right characters, but when the truth has resulted in the steady growth of ‘The Flash’ has stopped . In fact, the first half of the second season of ‘ The Flash ‘has been somewhat in no man’s land at having to pay too much attention to the preparation of the spin-off, thus slowing the satisfactory progress of Barry Allen and the other characters. True, they have not missed the good times, mostly related to the threatening presence of Zoom, but ups and downs have been a constant I hope they disappear when you return from their Christmas break on 19 January. From here there will be spoilers until the ninth episode of the second season of ‘The Flash’ . 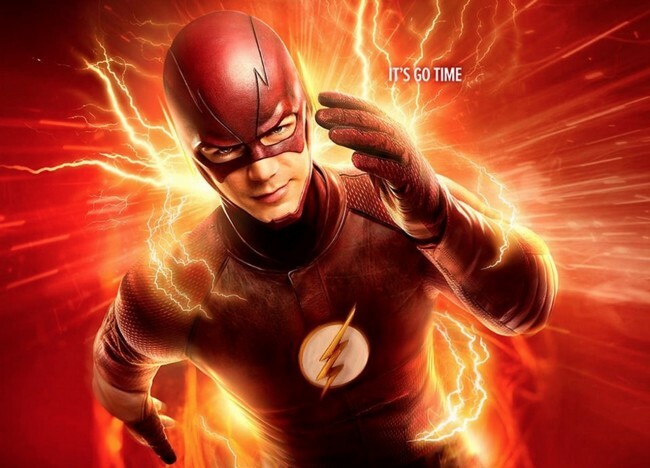 Tras settle outstanding issues from the first season, ‘The Flash’ was introduced gradually to Zoom, the great villain of the second batch of episodes that has an imposing physical presence that helps a lot that we take it seriously, but also to Patty, the new romantic interest of Barry, the key here being good chemistry between Grant Gustin and Shantel VanSanten. On this side there are no major drawbacks, since it was clear that the presence of Zoom would have to lengthen it a little time instead of ending directly with Flash. They have then been able to give to u na juicy plot to uncover the Harrison Wells from another universe will be your main ally to complete his evil plan, but without implying that Tom Cavanagh is forced to use the same tricks with which both shone in his first season. The point is that ‘The Flash’ yes has managed to leave us at the right time -we learned this betrayal just as Barry “forgives” his former mentor, something that is far from revolutionary, yet endearing thing bad- to be wanting more and rely on that line to be resumed in crescendo He made that he should be a good but simple entertainment to una of the best series of the season 2014/2015 . 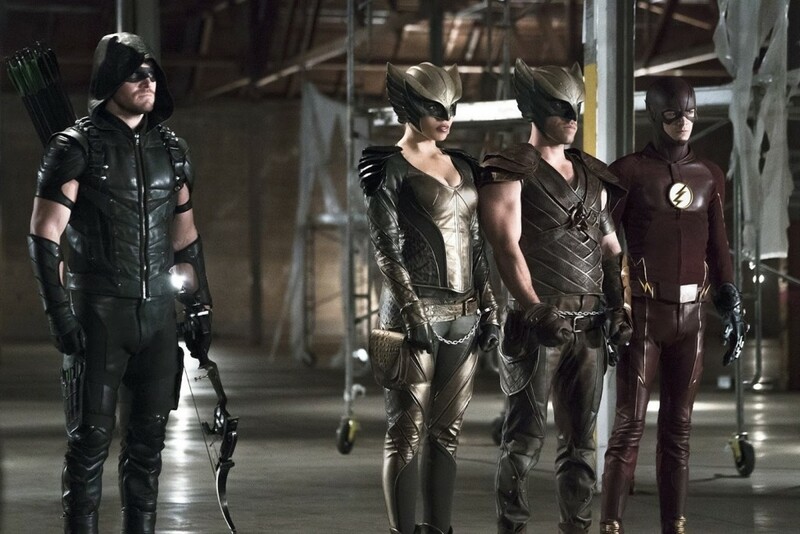 Not that ‘The Flash’ has ceased to be enjoyable, because it has maintained many of its virtues, especially good dynamic between the characters, but what I have noticed is that in much of the second season has had to sacrifice part of their identity to pave the way to ‘Legends of Tomorrow’ , but also goes something lame in un successful crossover in which the balance is decanted side too ‘Arrow’ when until now had always managed to find a great balance. Precisely the latter is what I missed most in the second season of ‘The Flash’, perhaps because it simply did not have the freedom to focus solely on itself . The result is that this first phase, focusing more on raising what is to come and integrate new team members for example -here I think, with the exception of “sacrifice” made to save Wells, have forgotten one little Jay’s account, the other Flash, for the past chapters, has been marked by erratic, with stoppages more or less constant for more attention to something outside the series itself. 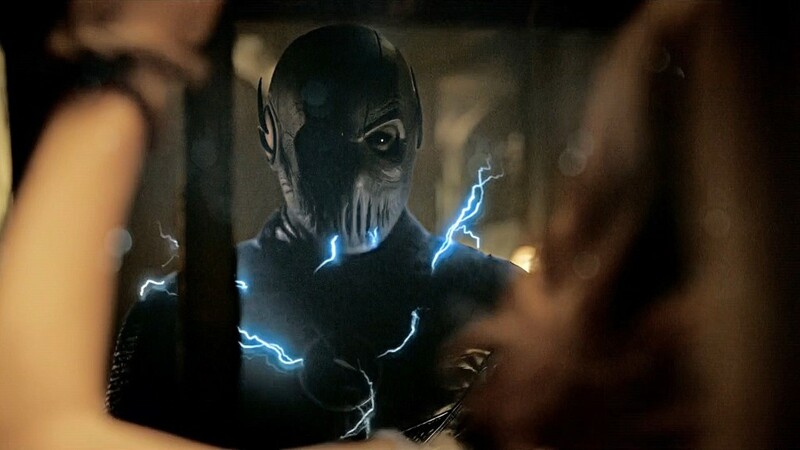 Eye, is not that these disconnections have resulted in bad episodes as broadly still meets quite well as entertainment, but I left a bittersweet taste to think that ‘The Flash’ was betraying herself a little. Fortunately, even some questionable details -the way Kendra learns that Barry is Flash-fit within that light tone in which there is room for scenes in other series would be unlikely, but what it costs me accept more is that some of them seem to me rather less interesting than watching Barry and his life doing without more, is battling a serious threat or just chatting about what happens. In short, hopefully not only a consequence of the chain wants with all his forces’ Legends of Tomorrow ‘raze and for this we must create some very strong ties with its star is now set. Yes, from now clean slate except for occasional crossovers and ‘The Flash’ to demonstrate again why so many viewers hooked up to it first and then just excited. This is it now, but we know it can be much better . News ‘The Flash’ has receded (but I still have full faith in it) was originally published in Go Tele by Mikel Zorrilla .